A new sociological study on social mobility in the cultural industries reveals that the UK sector is riven with inequality and is largely unrepresentative of the rest of the UK population. Panic! Social Class, Taste and Inequalities in the Creative Industries (Pdf) has been published by Create London and Arts Emergency with the research led by the academics Dave O’Brien, Orian Brook, and Mark Taylor from the Universities of Edinburgh and Sheffield. The 40-page paper focuses on the cultural and creative industries and includes the arts, music, publishing, advertising and IT. It concludes that people from working-class backgrounds are significantly underrepresented across the sector, as are women and those from BAME (Black, Asian and Minority Ethnic) backgrounds. The paper presents statistics that suggest that only 2.7% of those who work in galleries and museums are from BAME backgrounds, compared to just under 10% of the overall UK workforce. This compares to 4.8% of those who work in music and 4.2% of those who work in film. The paper is part of the ongoing Panic! project looking at the lack of social mobility in the creative sector and features analysis of a 2015 Panic! survey of creative industries and arts workers. It also includes analysis of what are described as ‘the dynamics of social mobility in the cultural sector’, including the values and tastes 0f cultural workers and how they differ to the rest of society. Among the report’s findings are that those working in the cultural sector tend to be ‘socially exclusive’, mixing mainly with other creatives. The paper also states that the creative industries have been slow to reflect changes in policy designed to tackle inequality and exclusion. In particular, unpaid work continues to be prevalent across the sector while the pay for entry-level jobs continues to be very low. Both these factors contribute to the exclusion of people from working class and less well-off backgrounds. The issues around social mobility highlighted in the paper are also revealed to be nothing new – it suggests that cultural jobs have always been socially exclusive. The report’s lead author, Dr David O’Brien, chancellor’s fellow, cultural and creative industries at Edinburgh College of Art, said: “Social research has long sought to sound the alarm about who is making and consuming culture in the UK. 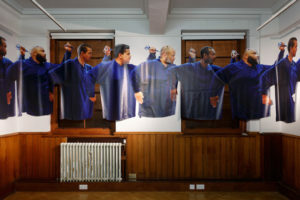 To coincide with the publication of the report, Create London has announced a cultural programme which will include a new commission by the Glasgow-based artist Ellie Harrison responding to the themes of the report. 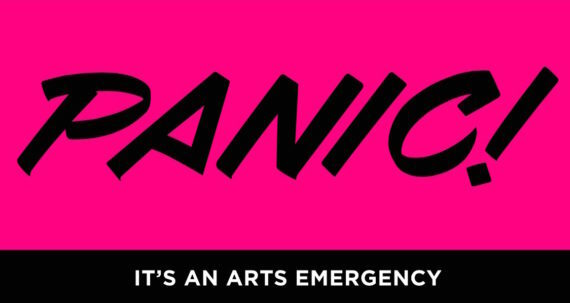 On 27 June, The Barbican, London will host In Focus, a discussion event around the issues highlighted by Panic! 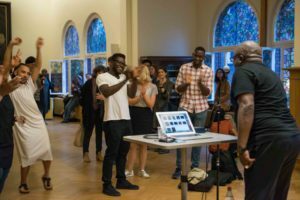 which hopes to both explore how the sector works and develop new initiatives to address inequality in the arts.